Year 5 and 6 pupils from 12 schools around Rugby attended a Gifted & Talented PE Day at Harris Church of England Academy last month. 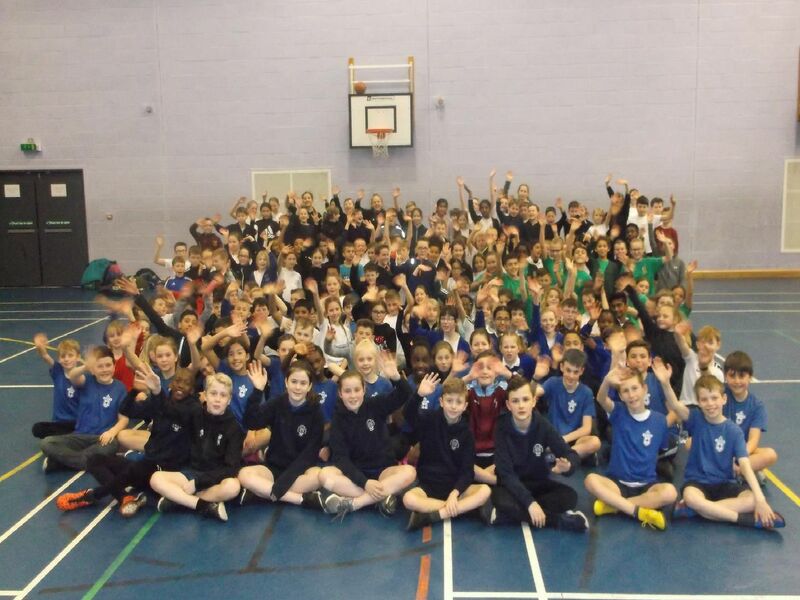 The pupils (and many of their accompanying teachers) participated in a carousel of activities throughout the day which included: bokwa, tchoukball, cricket, team building, kick boxing, indoor rowing and sports science, football and tag rugby. This gave every pupil the opportunity to try something new, broaden their experience and apply different skills. The School Sports Partnership would like to express their gratitude to all of the coaches from Warwickshire Cricket Board, Sky Blues in the Community and the Wasps Community Team who delivered coaching master classes throughout the day. For more information about Harris C of E Academy School Sports Partnership, please contact Ian Smart, Partnership & Sports Centre Development Manager on (01788) 812549 extension 304. More photos from the day can be seen on their Facebook and Twitter pages.